However, in 1766 Sir Roger Mostyn the 5th Baronet (1734-96) married Margaret (1744-92) the daughter of Rev. Hugh Wynn and heiress of Robert Wynn of Bodysgallen, thus returning the house and its estate to the Mostyn family after a gap of over 160 years. The marriage also brought Plas Mawr (Conwy), lands in Bodidris and the Corsygedol estate into the Mostyn inheritance. 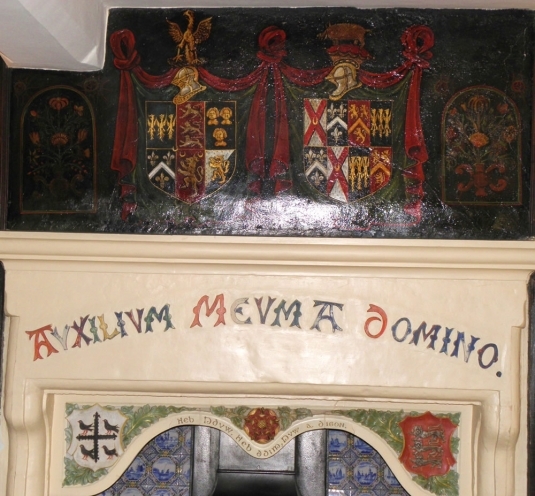 A fireplace at Bodysgallen depicts the two mottos of the family whereas the lion rampant of the Mostyn dynasty guards over the main entrance to the house. Bodysgallen hall is now managed by Historic House Hotels Ltd. in association with the National Trust.